Julay,’ said the young monk, his robes fluttering like burgundy wings. His sing-song greeting woke me from a meditative daze. ‘Julay,’ I replied, instantly depleting my entire Ladakhi vocabulary. I was seated on a rocky outcrop on a high hill, beneath strings of prayer flags dancing in the breeze. Rising up as far as my eyes could see, jagged peaks were etched against a vivid blue sky filled with billowing, surreal clouds. Down below me sprawled Leh – a town of flat-roofed, whitewashed buildings, surrounded by verdant fields and leafy groves, gathered in a shock of green in the middle of the dun-coloured desert. Perched precariously on the cliff’s edge, the monastery behind me was like some gothic, tumbledown fortress keeping watch across the upper Indus Valley. The young monk – despite the boyish glint in his sun-squinting eyes – seemed stoic, poised as though preparing to share some deep, prophetic insight. Instead – in pukka English – he simply invited me for tea. He poured several cups of hot, salty butter tea and engaged me in a lengthy discussion about rock music and soccer. Then – rather enigmatically announcing that we would one day meet again – he disappeared off into one of the crumbling temples to attend to his duties. A steep pathway took me back down the hill past the uninhabited Leh Palace (a miniature rendition of Lhasa’s Potala) and deep into the time warp of Leh’s old quarter, a warren of narrow cobblestoned lanes and ancient mud houses. 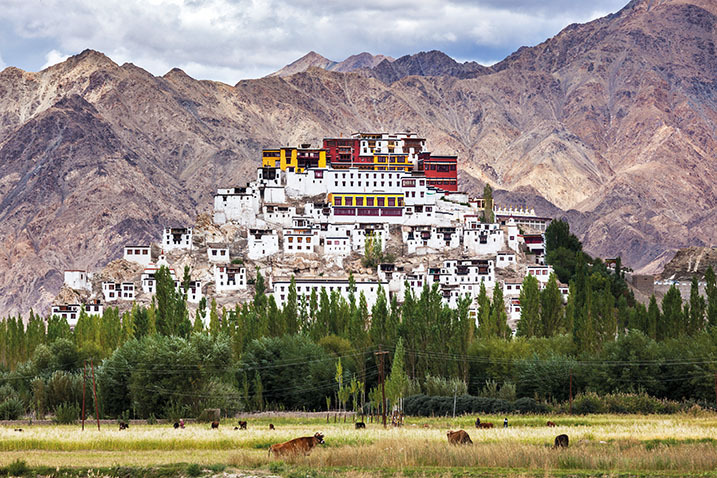 While most of Ladakh feels remote, unpopulated and frozen in time, Leh (the main city and former capital of the region) has the atmosphere of a dusty frontier town. Once a bustling trading post on the legendary Silk Road, it is nowadays awash with antique stores, English-language bookshops, internet cafes and guest houses converted from old family homes. 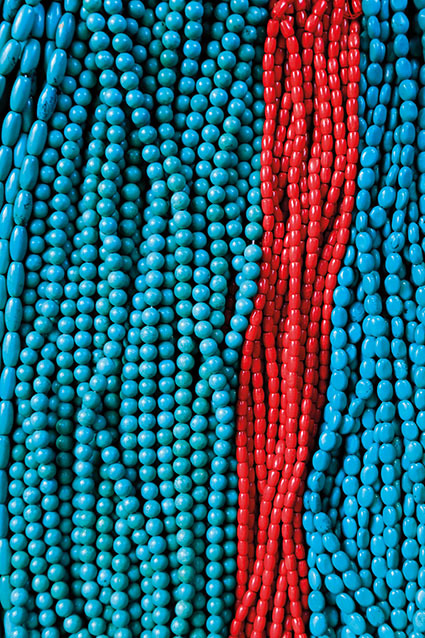 In the marketplace, Tibetan refugees were selling silver prayer wheels, copper teapots and heavy jewellery fashioned from turquoise, coral and amber. Bundles of tourists circled round the main bazaar, haggling with Kashmiri carpet salesmen and popping into restaurants for plates of steaming momos (traditional Tibetan dumplings stuffed with vegetables and meat). It wasn’t quite how I’d pictured the silk-caravan crowd to be, but it was bustling nonetheless. At its northern outskirts, Leh segues gradually into farmland. Streams trickle past squat stone walls and flourishing vegetable gardens surround box-shaped houses with apricots drying on the roofs. I passed half-bent women in homespun cassock-style dresses, twiddling prayer beads with one hand, leading cows with the other. ‘Julay, julay,’ they’d sing. ‘Julay!’ they’d smile and wave. Next day, I woke early to be at Thikse (a famed monastery half an hour south of Leh) to hear the 6 am prayers. In the assembly hall, the deep-bass murmurings of the monks resonated with a strange and mystical power, rising together in a rich, otherworldly cacophony. After the chanting, a young lama took me on the Thikse grand tour. A 12-storey complex with whitewashed temples and tapering walls, it sits atop a craggy peak like some ancient citadel. Each temple seemed a mysterious chamber of secrets, the walls covered in dazzling murals, the air alive with burning incense and shadows cast by flickering lamps dripping yak butter. Each of them contained altars laden with ceremonial masks, relics and tankas (silk hangings embroidered with sacred iconography: demons, deities and serene Buddhas). And, from Thikse’s ramparts, spread incredible valley scenes with majestic mountains filling in the backdrop. Days later, the many monasteries I’d visited had begun to blur, so I hired a guide for a three-day hike linking a series of rural villages by way of half-forgotten mountain paths. We set off from Temisgam and – at our highest point – traversed Meptek Pass, somewhere up above 3 700m. We marvelled at the wilderness of shattered rock and heaven-piercing mountains, and sauntered through green valleys where we bumped into shepherds tending flocks and met monks skipping along invisible back routes dotted with commemorative chortens (whitewashed cairns shaped like chess pawns). We stopped in villages that clung to rocky hillsides or huddled in valleys surrounded by orchards of apples, walnuts and apricots. We met women with long, ebony plaits and stovepipe hats, working glistening green fields fed by streams of mountain snowmelt; and slept in homes partially converted into simple guest houses, offering beds piled with blankets. Our hike terminated in Likir, another enchanting monastery village, where the monk-guide explained that the area was once inhabited by fairies or water spirits. Founded in 1065, the monastery has a little museum exhibiting such bizarre treasures as a 400-year-old bulletproof iron jacket known as a thaap. Other implements of war date back nearly 1 000 years. Likir Monastery’s monks (members of the Gelugpa or ‘Yellow Hat’ sect, the branch of Tibetan Buddhism headed by the Dalai Lama) are also responsible for looking after the monastic buildings at nearby Alchi, home to some of Ladakh’s oldest and most important Buddhist frescos and sculptures. There, we used torches to cut through the gloom inside unlit temples, where we found incredible, intact 11th century murals. I marvelled at trumpet-blowing angelic figures and studied elegant nudes in complicated tantric poses. And, in the dukhang (assembly hall), I gawped at a pure gold statue of Avalokiteshvara (the embodiment of compassion), of whom the present Dalai Lama is believed to be an incarnation. Back in Leh, I made arrangements for a shared jeep trip into Nubra, a remote valley reached via Khardung La, one of the highest mountain passes in the world. Reaching around 5 300m at the top, the climb from the Indus Valley consists of endless switchbacks snaking slowly up towards eye-level views of endless snowy peaks. It was snowing gently at the top, where we acclimatised briefly with sweet chai and quick visits to various shrines and temples constructed in order to console weary travellers. On the other side, we descended into the deep, wide folds of the Karakoram mountains to discover a lush valley with undulating sand dunes alongside river-watered fields. 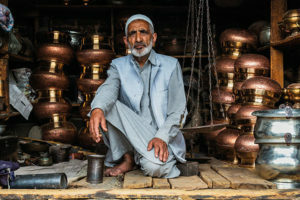 We wandered through the Nubra Valley’s sparsely populated hamlets, where sun-weathered farmers tended patches of crops at the foot of barren, rocky slopes. We stayed in a charming little hotel set along the river near the bucolic village of Sumur. In the early morning, I hiked into the mountains, picking out a path through the craggy rocks, discovering tiny temples, hard-to-reach shrines and fortress-like lookouts with eagle views. 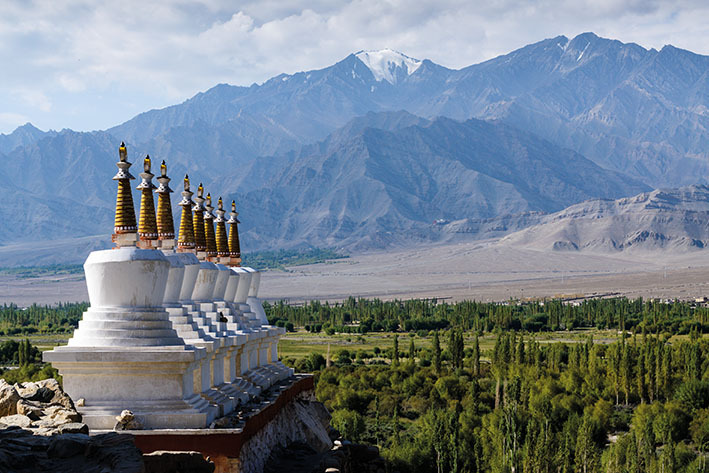 Like the rest of Ladakh, Nubra has seen its share of potential conquerors, which is why so many monasteries were built on slopes and cliff edges, where they could be defended against invaders. The one at Diskit lured us with its monumental golden Buddha – a very recent addition to an old building – posing on a hilltop. We climbed its maze of stairways and were shown a chamber crowded with sculptures, including one bleak-faced demon brandishing an actual human skull and a matching withered hand. The monks said they had once belonged to a Mongolian warlord who had attempted an invasion 350 years ago – rather unsuccessfully, it seems. That night, as moonlight bounced magically off the Shyok River, I headed out for a stroll. I found myself drawn by strange music coming from the outskirts of the village. In a meadow, I came upon a large gathering of locals engaged in a celebration. I watched for a while as they chugged mugs of home-made barley beer and performed a slow, graceful dance to the strains of an ancient, mournful tune. 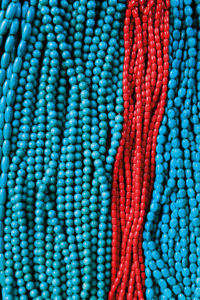 When I finally edged my way closer, I was greeted with a merry chorus of ‘Julays’ and had a mug thrust into my hands as though I were a long-awaited guest. No one else there spoke a word of English, but by dawn – when the party finally fizzled out – my Ladakhi had improved considerably. 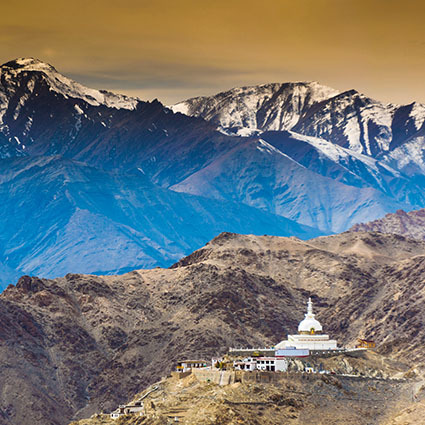 Ladakh (meaning ‘Land of High Passes’) was an independent kingdom for 900 years. This high-altitude region located within the north-eastern Indian state of Jammu and Kashmir is wedged between Pakistan and the Chinese autonomous regions of Tibet and Xinjiang. Its main city is Leh. The population is about half Muslim and half Tibetan Buddhist, with many aspects of the region’s culture similar to Tibet’s. Winters in Ladakh are extreme (–22ºC is common), with ice and snow cutting off most of the region from the outside world. Accordingly, the tourism season runs from May to September, with the roads usually opening in June and sometimes closing as early as August. 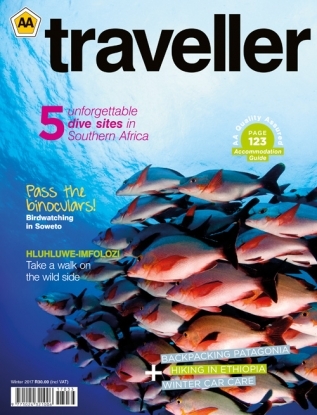 South African passport holders require a visa for India. It’s free, but must be obtained in advance. Come prepared for altitude sickness. Bring a torch for dealing with the regular power outages, as well as exploring unlit temples and monasteries. SAA flies to Mumbai, from where there are numerous flights to destinations across the Indian subcontinent. 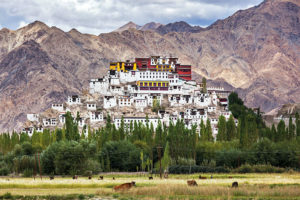 Getting to Leh is relatively simple these days: an hour-long flight from Delhi will do it (or six hours from Mumbai), although flying will deprive you of the overland adventure afforded by driving in via some exhilarating (and exhausting) mountain passes. Leh is heaving with travel agents able to arrange any excursion within Ladakh (the local taxi union frowns on outside vehicles). 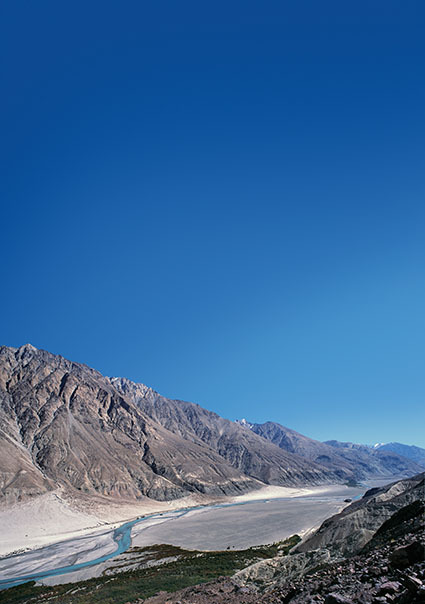 Hire a 4×4 and driver for trips beyond Leh (the travel agency will help to arrange a shared vehicle to cut costs). Taxis operate according to standardised rates determined by where you’re headed and the number of days you wish to hire the vehicle for. 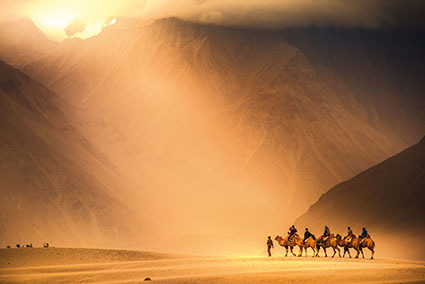 For journeys to certain areas in Ladakh, including Nubra Valley, you will require an Inner Line Permit (obtainable through any travel agent in Leh). 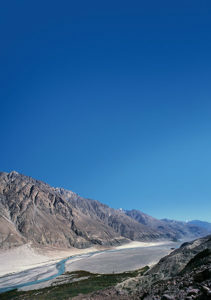 The permit is valid for two weeks and allows access to all of the restricted areas near the disputed India-China border. Leh has many hotels and guest houses, but Tsermang Eco Camp, 10 minutes from town, is something special. Environmentally friendly tents with chic, spacious interiors, fabulous mattresses, solar power and hammam-style bathrooms are arranged in a clearing near the Indus River. There’s nothing but mountains and fields around you, with rushing water for a soundtrack. Stok Palace Heritage Hotel is housed in Ladakh’s only inhabited palace, home to the king (or Gyalpo), who has converted five rooms into the region’s most beautiful and atmospheric accommodation, filled with antique furniture, traditional crafts, rich fabrics, animal skins and hand-knotted rugs. It’s a little like staying in a living museum, with all the creaking floors, cracked wood and sloping walls carefully preserved. The best way to see Ladakh is with Shakti, an upmarket operation offering all-inclusive, airport-to-airport trips (minimum five days), that give you a feel for the region. Besides staying in beautifully converted homes, you can personalise your itinerary to incorporate activities such as trekking and rafting. You’ll enjoy interactions in lesser-known villages and get deeper insights at the monasteries.